Can you confirm these amateur observations of Plestiodon reynoldsi? Type locality: Near Spring Lake, Fruitland Park, Lake County, Florida. Comment See illustration in Reptilia 9 (2): 14. SCHMIDT, A. 1955. Der Floridanische [sic.] 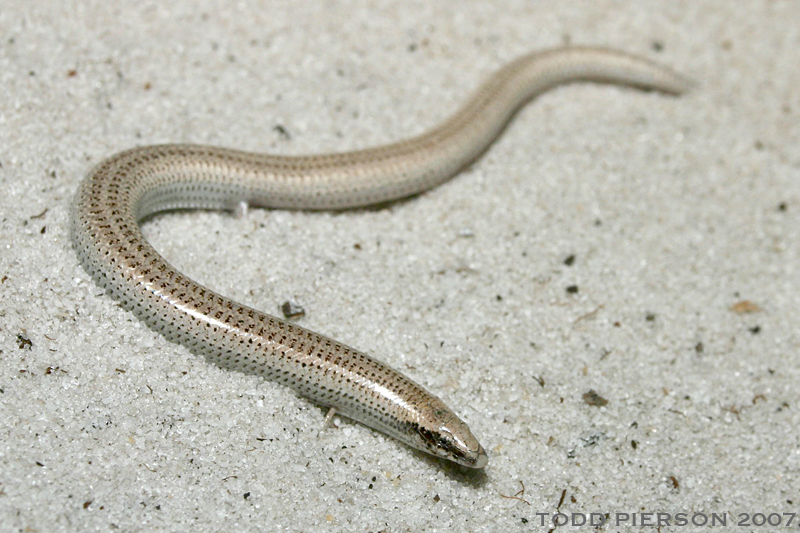 Sandskink Neoseps reynoldsi Stejneger. DATZ 8: 299-300.